Woo Hoo! 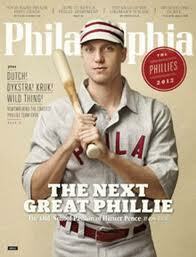 Hunter Pence Gets his Multi-Year Contract! This is huge! Breaking news for sure, and it follows the day his teammates voted him winner of this year’s Willie Mac Award. Hunter Pence and the San Francisco Giants: Five Year, $90 Million Extension on his Contract, that’s what they’re saying. Oops! He’s all ours now! I remember vividly last year when Hunter Pence signed with the Giants and flew into SFO to play in that night’s game. However, the flight was delayed and Pence arrived about 30 minutes after the game ended. But thanks to our loyal Comcast the cameras were on him as he arrived through the gate enroute to the clubhouse, duffel bag thrown over his shoulders, with our loyal “gonna be” fans waving and asking for autographs. They obviously knew more about Hunter than I did. I mean, who was this guy? I liked his persona immediately as he dropped everything to sign autographs, shake hands, and basically just endear himself to the fans. And this was late, like 11:30 PM, most of the park lights had been shut down, and you know he must have been tired. I mean it was 2:30 AM Philly time. So that’s my first exposure to Hunter Pence and it’s been all uphill since as we remember his rousing speech to the troops to keep going last year. This was the speech that got them to and through the playoffs for a chance to win the World Series, and win the World Series they did. And 2013 has been another great year. Well, not such a great year according to the standings, but who cares about that? Our team has character, charisma, compatability, and the loyalty of 41,000 fans on any given day. 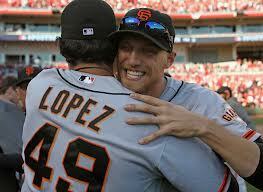 So welcome to five more years in San Francisco Hunter Pence! 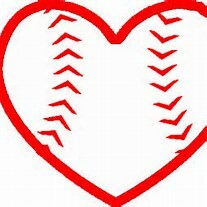 We, the best fans in Major League Baseball “softly” love you (sorry Buster) and open our hearts to you as you’ve opened yours to us. So Who’s Your Favorite Team Now? Okay, so Division play is winding down and most of the Playoff teams have been decided . If your team isn’t one of them who you gonna cheer for? I mean, what’s a girl to do? Personally, I’m going to be hollering for the Los Angeles Dodgers. I know, I know, I’m a Giants fan and I said I wouldn’t. Go figure. But hear me out because there’s some logic to it. If your team is beaten by another team and that team makes the Playoff’s, what happens if they’re knocked out early? It probably means that your team “really” sucked. If, what if, on the other hand, the team that beat the socks out of you for the Division, goes on to win the Pennant? It means that you were probably beaten by a really good team, a team that’s better than 14 other teams. So now your team isn’t looking so bad. And what if, by some miracle of a chance, that team goes on to win the World Series. Then you can stand up really proud and say you were beaten by the best team in baseball this year. And really, there’s some honor in that don’t you think? But, if the Dodgers get whacked out of post season early we can always blame it on that little pipsqueak, Yasiel Puig, and not on the fact they’re a better team than we are. I know Puig’s good, well, really good, but he IS just a rookie and a bit of a smart aleck at that. And if they don’t do well, maybe we could also attribute it to Brian Wilson’s whining (think Larry Baer). Or to another 19-3 thrashing. I mean think of the options available if the Dodgers don’t produce in post-season. Just saying …..any way you look at it the Giants still come out smelling like a rose! And you’ve got to hand it to the kids. They managed to stay out of the cellar (depending on the final three games to be determined) and at the end of a grueling, injury-filled season they’re wearing their last year’s World Series rings with smiles on their faces realizing the irony of it all. Baseball. You gotta love it. Thousands of San Francisco Giants fans decked out in orange and black showed up for the 2013 Fan Fest this year at AT&T Park. I’m posting my own photo’s along with a smathering of those from the San Jose Mercury News. Maybe you’ll spot yourself in one. A special thank you for those who so kindly allowed me to get a quick snapshot – usually because of something that really struck my fancy, like the “Kings Wear Rings” guy with the big smile or the guy with the great “Giants Know October” shirt. Giants fans are great and so much fun to be around, especially when it’s beautiful weather, not a cloud in the sky, and smiles everywhere! I can’t honestly think of a better place to be on a beautiful sunny day than at AT&T Park. And the Giants players gave so much of themselves with the interviews, autographs and just taking the time to stop and chat with their fans. Whatta great bunch of guys we have here! And that’s exactly what you’d expect from the reigning World Champions and the best fans in all of baseball. GFBB Update: The Giants have estimated nearly 40,000 in attendance at this year’s Fan Fest. 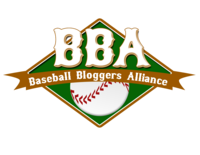 See more Photo’s on the MLB Blog Website. It Pays to Win A World Series !! How Much Did they Make?? NEW YORK (AP) – A full postseason share for the World Series champion San Francisco Giants was worth a record $377,003, breaking the mark that had stood since the 2006 St. Louis Cardinals. In the first year of the expansion of the playoffs from eight teams to 10, the players’ pool was a record $65.36 million, Major League Baseball said Monday. The previous mark of $59.1 million came in 2009. The Giants split $23.5 million, voting 50 full shares, partial shares equivalent to another 11.1, and 12 cash awards. All-Star outfielder Melky Cabrera, suspended for the final 45 games of the regular season and the division series, automatically received a full share without his teammates having to make a decision. Under baseball’s joint drug agreement, he was eligible for his share because his suspension ended in time for him to be on the active roster for a majority of the Giants’ postseason games, even though San Francisco decided not to use him. Under Major League Rule 45, he gets a full share because he was with the team from June 1 on. Cabrera, the All-Star game MVP, became a free agent last week and agreed to a $16 million, two-year contract with Toronto. 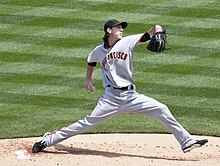 San Francisco’s full share was up from $323,170 for the 2011 champion Cardinals and $317,631 on the 2010 Giants. A full share on the AL champion Tigers was worth $284,275, up from $251,516 for last year’s Texas Rangers. 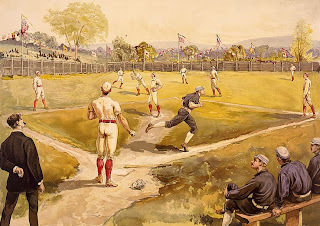 The players’ pool included 50 percent of the gate receipts from the two wild card games, and 60 percent from the first three games of each division series and the first four games of each league championship series and the World Series. Full shares were worth $122,558 for the Cardinals, $115,065 for the New York Yankees, $37,865 for the Cincinnati Reds, $37,045 for the Washington Nationals, $34,826 for the Baltimore Orioles, $34,325 for the Oakland Athletics, $19,609 for the Atlanta Braves and $16,999 for the Rangers. Shares are split among the 10 postseason teams. In the past, they were divided among the eight playoff teams and the four second-place teams that failed to reach the postseason. I couldn’t wait to get my hands on this book; it arrived Saturday and I read it in its entirety Sunday. All of the 2010 World Series “picture books” are in my library so this was a welcome addition. The full-page color photo’s are worth the price of the book and if you live in the Bay Area you’ve probably seen them before in the Mercury News or Oakland Tribune. Good stuff! Back in 2010 Andrew Baggarly, or Baggs as he’s fondly referred to by the locals, was the lead sportswriter and his monument to the season is captured in his book “Band of Misfits”. But Baggs is nowhere to be found in the “Comeback Kings” since he left the organization and is now part of the Comcast group. He’s replaced by Alex Pavlovic and a troupe of other sportswriters who definitely hold their own. This is a great line by Pavlovic. Wish I could write like that. My favorite 2010 World Series pictorial was from the SF Chronicle “Torture to Rapture”. And it’s still probably my most favorite. I’m sure they’ll come out with another for the 2012 season, but for sure the “Comeback Kings” is a great read for those of us who can’t get enough of these kids and quite simply just don’t want the season to end! I mean what are you supposed to do when your main source of entertainment is put on hold? If you’re Rogers Hornsby, you stare out the window and wait for spring. And that’s just about it folks. But don’t forget the added bonus this year ~ 2013 World Baseball Classic, March 2 thru March 19 at AT&T Park in San Francisco, CA. “Comeback Kings” Bay Area News Group. Published Nov 2012, Available from Triumph Books and Major Book Retailers. City of San Francisco Sure Knows How to Parade! !